Last December, Blue Jay resident Cherie Gruenfeld received an honor every kid who ever played a sport--or ate breakfast--has dreamed of receiving. 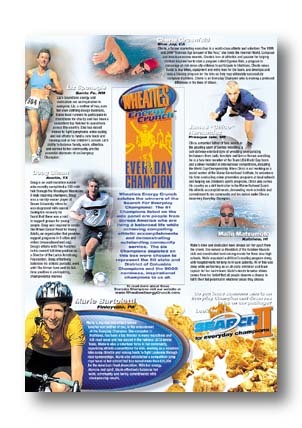 Because of her tireless work with at-risk youth in San Bernardino, Gruenfeld's picture will grace the back of General Mills' latest Wheaties Energy Crunch¨ cereal box as it honors the nation's "Everyday Champions." Last summer, General Mills embarked on a "Search for Everyday Champions," and Gruenfeld's husband submitted the 300 word essay necessary for the company to consider his wife. Soon, they found out that she was one of six selected out of more than 10,000 nominees. Cherie Gruenfeld, a former marketing executive, has competed in 14 Ironman triathalon races, 10 of them being world championships. She is a five-time holder of the championship in her age group and holds European, American and world records for her age group. 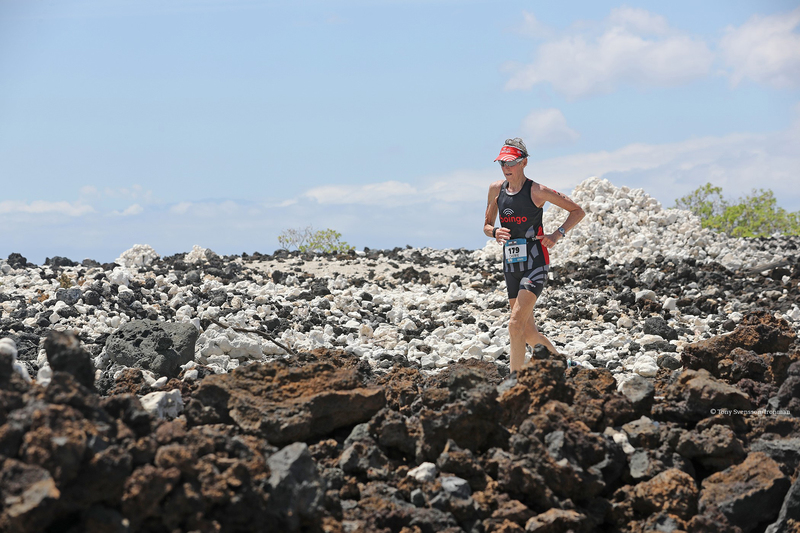 Additionally she is the only woman over 55 to complete the Ironman triathalon in under 12 hours. 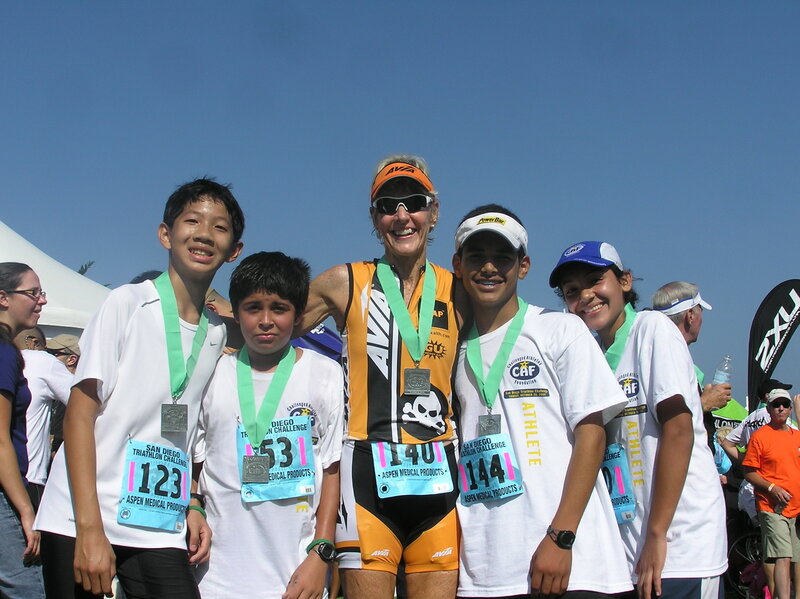 In addition to the rigorous training necessary to be a championship Ironman athlete, Gruenfeld devotes countless hours to disadvantaged youth in San Bernardino, training them in running, biking and swimming. Gruenfeld says the project started in 2000 when she was a guest speaker for 200 children at Cypress School in San Bernardino. At the end of her talk, she told the children if they ever wanted to participate in a triathalon event she would help them train. The next day, she got a call from the school saying all 200 children wanted to train. 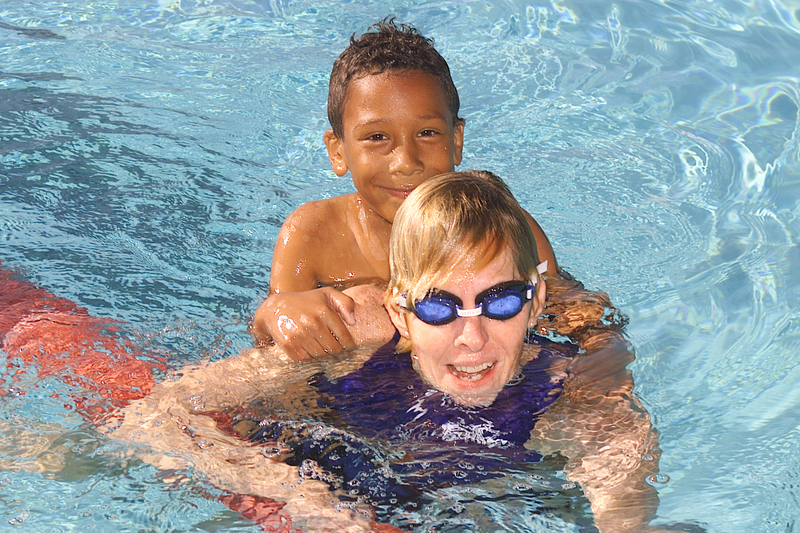 After narrowing the group down, Gruenfeld had 12 children who were serious and appeared ready to dedicate the time it takes to train for a triathalon. From there, Gruenfeld raised funds and used money from her own pocket to purchase shoes, uniforms, bikes and other equipment for the kids. Since then, her program has grown from 12 to 25 children for the triathalon and 40 for the foot race, and she is no less devoted as the day she started. "These kids are faced with drugs and crime every day of their lives. Hopefully from this program, some of the kids will see there is a way to break out of the environment they live in and do something special with their life...Participants in this program have shown improvements in their grades, and their leadership qualities have increased. This program teaches them to be responsible and conscious of social skills." Since starting the program, Gruenfeld has received grants and donations from supporters at every race the children enter. Because she was chosen to represent "Every Day Champions," General Mills is contributing $2,500 to Cypress Kids. Gruenfeld went to New York in December for the unveiling of the new box which features all six "Everyday Champions'" pictures on the back. Gruenfeld's picture is at the top right. Olympic Champion Gymnast Mary Lou Retton hosted the event stating, "...I'm honored to share in the experience with these everyday champions. I was amazed just hearing about all of their extraordinary accomplishments, and I think it's great that now people will be reading their stories at breakfast tables all over the country." Gruenfeld says that although she has received many awards because of her athletic achievements, this award is special. "It puts me in a place I never dreamed of being. My life and what I am is these kids. To think the kids are a part of this award gives it even more meaning." The Wheaties Energy Crunch cereal box should be on local supermarket shelves within the month. © 2017 by Steeplechase Run, Inc.